If you have your Windows 10 taskbar set to auto-hide, yet it refuses to do so, here is what you can do to make it behave. 2. On the “Processes” tab, find “Windows Explorer” and click it to highlight it. 3. 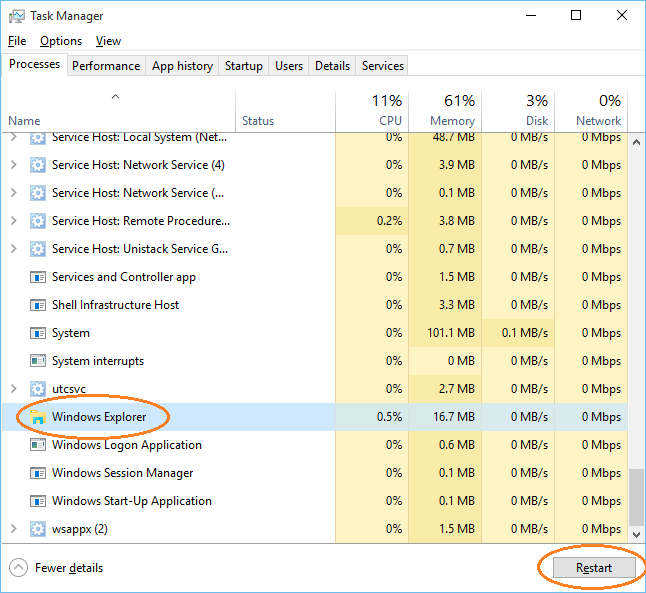 Click the “Restart” button in the lower right corner of the Task Manager window. 4. Enjoy an obedient auto-hiding taskbar.